Spotlight lets you find apps, documents, and other files on iOS device, iPhone, iPad or iPod Touch. Spotlight is especially useful if you have a lot of apps on your device. Now turn off your device by pressing and holding the on/off button until you see the slider. Then slide the red slider. Now go to Settings > General > Spotlight Search and now turn everything on. Select a language (e.g. ; Canada English) and tap Done. Then confirm your change by tapping Continue. Now change back to your original language. If there is an update, update the iOS software on your iPhone or iPad by going to Settings > General > Software Update. Send yourself an email. For instance, send an email from your iPad email address to your iPad. Force restart your idevice by pressing and holding the on/off and the home buttons together until you see the Apple logo. Reset Location and Privacy by going to Settings > General > Reset > Location & Privacy. Reset All Settings. NOTE: all your settings (Wi-Fi settings, Touch ID, Face ID, Restrictions etc…) will be gone if you do this. If you want to do it simply go to Settings > General > Reset > Reset All Settings. Note again, this will not delete any data or content, just it will reset all settings to factory defaults. Please note that you can change Spotlight settings by going to Settings > Siri & Search. If nothing works, you may want to contact Apple. Can you help with text messages not showing up in message search? I’ve been having this issue for probably three updates now and not once has it worked. I can search a keyword from messages that I just sent yesterday, such as “wallet” and it won’t show that message but instead shows one from February!?! It has occurred numerous times and I’ve tried to hard reset my phone, change the language, disable all search, turned iMessage on and off and still no results. This is seriously irritating. I have seen numerous users with the same issue but not solid results online for this issue in particular that I have come across. Followed steps under “Symptom: Search is not working properly” and after reboot worked for 3 minutes and then again stopped working. None of these are valid fixes. The Apple software developers need to fix the software. How hard can it be? Spotlight starts working in the beginning, but after a few days it stops searching certain apps. None of these work for me. I even reset the phone. I enter search in gmail; auto fill displays narrowing results for fraction of a second and then goes to blank screen. Version 10.1, iPhone 6S. Not happy about reduced functionality. Help? Many users are complaining that Contact search is not working . Hope that Apple will fixe this ennoying bug . Users, Please stop publishing fixes that do not work ! Even same happened with me,but I moved into high speed wifi zone all started working. Though we don’t have news app in our region ,we are only restricted to the news widget ,I was unable to access this widget also and spotlight was not working but moving into high speed wifi helped me by itself. Spotlight search not working as expected. “What the customer is experiencing is actually considered expected behaviour. With the release of iOS 10, customers are now only able to search the last 200 messages with Spotlight or the in app search. This would include the last 200 sent and received messages. The 200 searchable messages limit is only after restoring from a backup prior to iOS 10. This is why devices that had the same Messages database and were not restored from a backup when they upgraded to iOS 10 can still search prior to the 200 limit. Thank you. “Spotlight Search” finally works on my new iPad Pro (10.5-inch). BTW: It works fine on my iPhone 7 and iPad Pro (9.7-inch). Pull down search function no longer works on iPhone 7 Plus after update to 11.01. Only shows Siri suggested apps. Rebooted, turned Siri on and off etc. The search function works for one or two tries after hard reset and then fails again. Very displeased especially using new hardware. Any fixes for this? Very, very frustrating. No SMS, contacts, app results – Blank. With the new updates to my iPhone 6 Plus I ha e a very slow device. 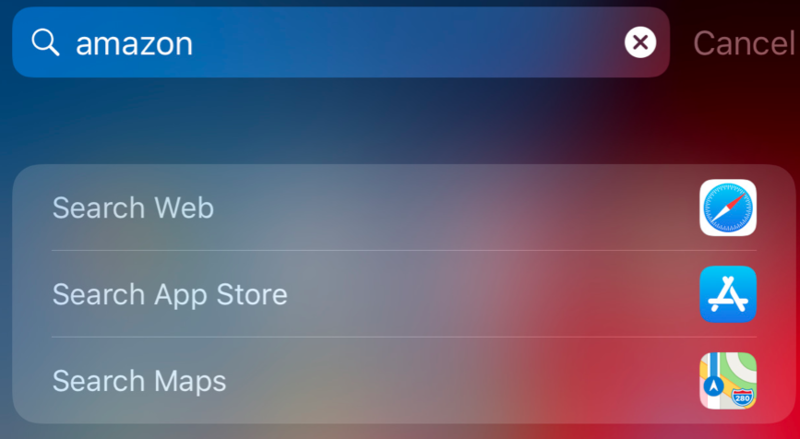 Spotlight Search does not show location of apps in folders. So how do I move them around if I cannot locate them. Notes now freezes up or runs so slow no use using the app anymore. I can no longer load Pictures to the shoebox because it takes so long for me picture. Same sending I messages so slow. I hate iOS now. I’ve reset tried everything this is happening on all my devices not just one! Thanks. Changing the language and then back again worked for me. I’ve been trying to fix this for days. So weird but it works. Thus article needs updated. The ‘fix’ of “Go to Settings > General > Spotlight Search” does not even apply now on IOS 12.1.4, yet I’m having the exact same problems trying to search ‘Notes’ and trying to find apps quickly. Very frustrating!! Hi all, I want to share my experience and how I fixed my problem with spotlight search not working on the settings menu. I am worried sick because the spotlight search has been very helpful in cutting time spent finding stuff (all the time), so when mine stopped working, I researched on how to fix it, I watched YouTube tutorials (but didn’t work). Thank God and this site! It was a tremendous help!